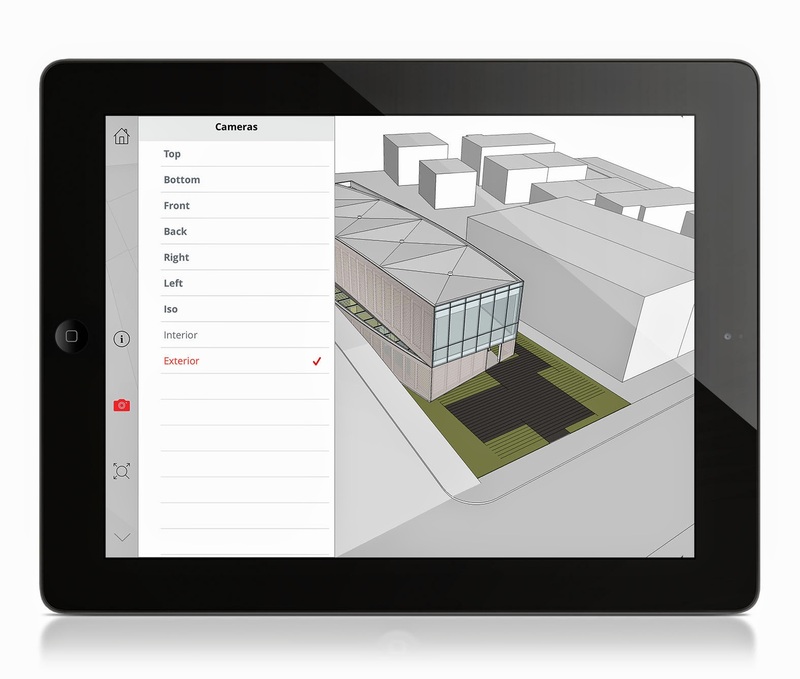 Retired SketchUp Blog: Oh hai, SketchUp Mobile Viewer! This is great! 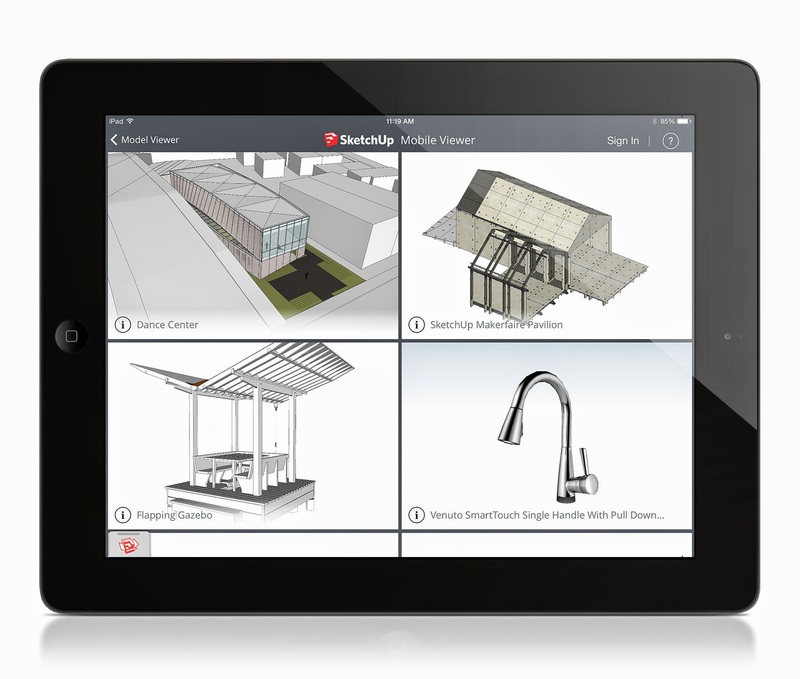 Any chance that the Sketchup app will come to Web? That would enable the use of Sketchup on Chromebooks without having to use Virtual Desktop service like VMWare. Hi Alex- You can view SketchUp models on your Chromebook today. Check out 3D Warehouse in your browser and click on the 'Orbit' icon. Will it be possible to add models through iTunes or Dropbox? I don't think everyone wants to upload to the warehouse first... And what can it do more than the free Sightspace Free-D app? Hi John, thanks for letting me know about that feature. That is a good first step, but it would be nice to be able to access the full editing features of Sketchup on the web. I'm not a developer, but I have been learning about Google's NACL and PNACL (https://developers.google.com/native-client/dev/) which lets you use C and C++ code in the browser. Maybe that would be useful? Although I don't even know which language Sketchup is programed in. We need Android support too. Not everyone has drunk the Apple Kool-aid. Sign-in error. Could not obtain user information from the identity provider. Does anyone have any solutions? I can sign into Google fine on the web browser by the way. Thanks. Please contact us so we can investigate further. I have bought The app it's seem slow with large models - more than 10MB, i closed all my other apps to see The model, sometimes it's no run...what is the minimum requerest system to Ipad? 2. Scenes need to retain layer visibility, section planes, styles, etc. A paid app and I cannot even sign in! Have the same problem that I use Google 2-factor identification with SMS - app sign-in ends up in infinite loop and no field popos up where I can enter the additional verification code. Nice work guys really looking forward to the Android version as well. The iPad version just needs to be able to log users in who use Google Authenticator 2 Step Verification. The mobile viewer hangs when logging in with a 2 Step account. For those of you reporting issues with sign in, we've identified the bug related to 2-factor authentication and are working to resolve the issue as quickly as possible. We'll push an update to the app store as soon as we have a fix. Sorry for the inconvenience. @Henrique Barros, t's recommended that your device have at least 1024Mb of RAM. Devices that meet those specs include iPad 3rd gen or newer, or iPad Mini 2nd gen or newer. @tnrkitect, rest assured an Android version is in the works. @Mitch, thanks for the feedback. Fully supporting Scenes is a high priority item on our list. are u guys gonna make an iphone version from this app? 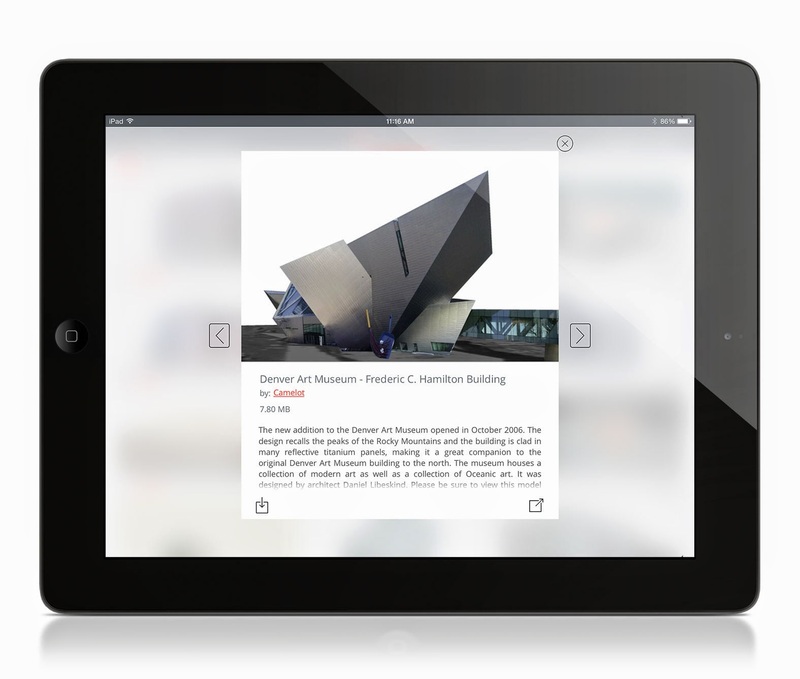 Its an amazing sketchup mobile show on to the blog. I've just brought app, and have logged in successfully ! - but I cannot figure out how to open .skp files from my dropbox / email (on my I pad). Am I being stupid ? is this possible - I don't want to have to upload to warehouse.. I'm in the same boat - can't figure out how to open my files on Dropbox, email, "open in" or on iPad. I'm not interested in uploading to the warehouse. Warehouse uploading is difficult and cumbersome. Is there a way to use google Drive ? I've just bought and installed the viewer. Login to google account doesn't complete. Please fix. Thank you in advance. Edit: works on second attempt. Thank you. Hi cant login to Sketchup viewer. have two step sign in on google account tried application specific password wouldnt take it. tried rebooting ipad tried re-installing app. just keeps cycling at sign in never stops. "it has made me miserable"
I can't sign in ? Just keeps cycling. What should I do? Turned off google two step verification temporarily. Then I could login. Application specific password didn't work either. We just pushed an update for the app to address the problems you've been having with the two-step verification sign-in. Please try again, and sorry for the inconvenience!